It’s been around for a long time but the Nymphaea stellata Bulb has always been a favourite. Not always available from commercial growers, I can only imagine it’s dormant at certain times of the year. The leaves are attractive, generally red in colour and narrow to a point. Very similar to the Tiger lotus, but smaller and different shaped leaf. 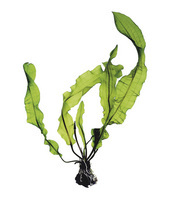 Simple to grow, you just drop it into your aquarium and in no time shoot will grow. 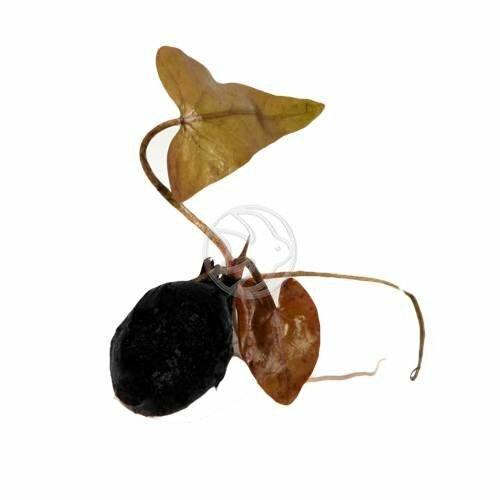 Find this plant on our website by clicking here. We send our bulbs without leaves and for good reason too! Yep you hear it right. All our bulbs don’t come with any leaves and there’s good reason for this. First and foremost a bulb that has no leaves and has yet to germinate takes to its new environment very very well – once placed in a tank, a new shoot normally shows within 48 hours. A bulb that already has leaves may not adapt so well to its new home and you run the risk of the bulb becoming dormant – and you don’t want that do you? Secondly, bulbs without any leaves ship easily and safely. There’s nothing worse than receiving a bulb with all the leaves detached. And no matter how well you package, this does happen, trust me. And here’s a tip for you. When you receive your bulb/s you might wonder which way is up. The answer is it doesn’t really matter. I recommend you drop the bulb to where you want it to grow and let nature take its cause. Here’s a link to our beautiful aquatic bulbs and look what fine specimen they can grow into. Ever struggled with your aquatic bulbs? Ever wondered if they might be tricky to grow? The short answer is that they are SUPER EASY TO GROW. Many people want plants that will cover up their filters which is totally understandable and bulbs will do just that. On the whole they tend to grow fairly large so if there is something you want covering up, then aquatic bulbs could be just the ticket. When planting them, make sure you only half plant them – this means half in the substrate and half out of it. If you totally bury them they’ll rot. 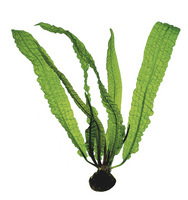 Find all of our aquatic bulbs by clicking here.